Naomi Howarth, London: Frances Lincoln Children’s Books, hb. 978 1 8478 0850 9, 2017, £11.99, 32pp. Who are the biggest and the best in the jungle? Elephant and Hippo certainly think they qualify and they are sure that to be friends with Tortoise, slow, ugly tortoise, is beneath them. But brains will always trump beauty – and Tortoise proves this emphatically. Howarth takes a traditional tale and presents it without any surprises but with a welcome freshness both in her retelling and her illustrations. These are vibrant, jungle flowers and foliage glowing against a white ground. And from the moment we open the book to the moment we close it, we are in the jungle; the endpapers make us aware of this immediately. Elephants and hippos are large creatures; their figures fill the page but always to one side of the double spread. 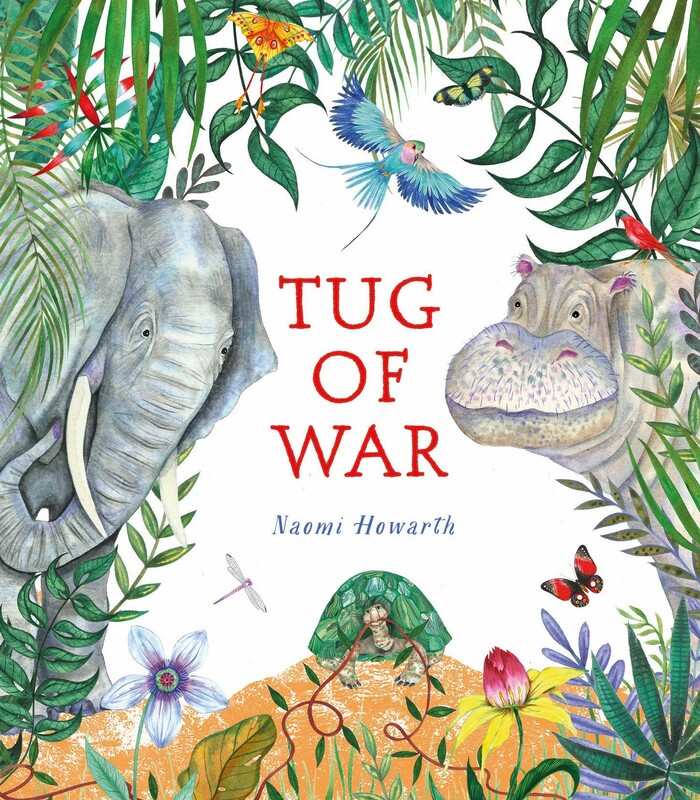 The colours are bright and clear – these are illustrations to enjoy, cleverly balancing the tightrope between the natural world and the imaginative – because we are, after all, in a story.